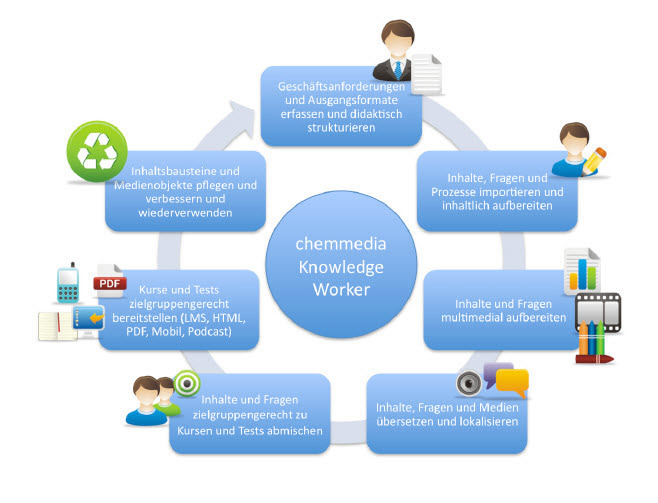 chemmedia KnowledgeWorker is an outstanding software solution developed to increase the productivity of knowledge workers. By using KnowledgeWorker, these domain experts will be able to quickly create and distribute knowledge units and learning contents either on their own or within a team. No further knowledge of programming or even the advice of both multimedia designers and educators is required. Using an easy-to-access and fast web 2.0-application, KnowledgeWorker combines the advantages of traditional Learning Content Management Systems, foreign language translation systems, technical documentation systems, knowledge management and media databases. The software’s pedagogically sound methodology is based on learning objectives and competence models or even on company-internal knowledge taxonomies. Hence, even the educationally little proficient authors can approach each learner appropriately. A flexible computer model purposefully unlocks selected functions for knowledge workers and authors and thereby supports the control of the workflow in large teams. The client options module of the system allows the implementation of the software both in large corporations as well as in medium-sized businesses and organizations. Also, a client- or company-spanning teamwork is possible. 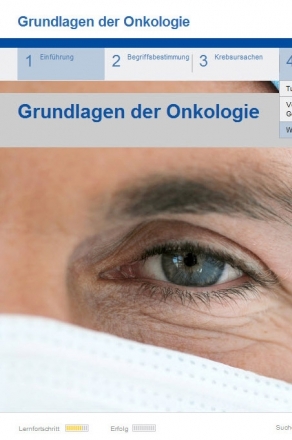 Seamless multilingualism both in learning content objects and user interfaces make KnowledgeWorker fully operational in international enterprises. Without further ado, KnowledgeWorker can import existing contents from popular formats (e.g. Word, PowerPoint, OpenOffice) including all the enclosed graphics and structures. Once the contents are embedded, they can be pedagocially and multimedially refined. 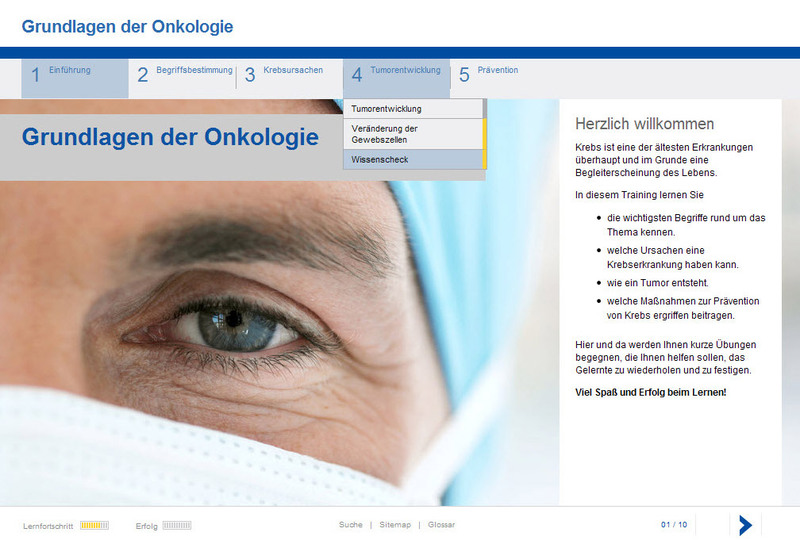 A variety of upgradeable templates facilitates the interactive arrangement of the various contents and provides a visually consistent user interface across all learning content objects even if several authors work on the same module. KnowledgeWorker stores those learning content objects and media objects in a central database. Through easy-to-use search options each authorized author can access the company-wide collection of information resources. Next to a user history, each object also features a usage overview. Hence, updates in pictures, videos or texts can automatically be applied to all learning content objects and courses. The multilingual output in various target profiles in the form of e-learning-courses, online tests, PDF-files, CD-ROM or as learning units on mobile phones ensures the optimum dissemination of knowledge contents.